This is a very interesting piece, and it highlights the fact that our leaders have no genuine commitment to our advancement and development as a nation. 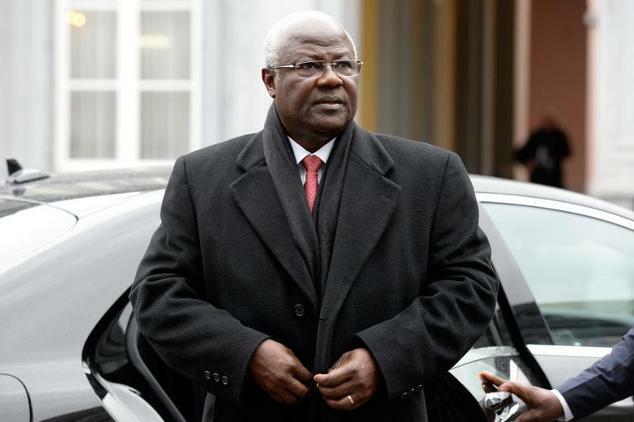 (Photo: Koroma arriving in Brussels in March 2015). Koroma and his ruling elites travel overseas not just for their regular medical health checks and their shopping sprees. They do not trust the education systems in Sierra Leone, and so educate their children overseas. But this is not new. I recall as a child listening to a cabinet minister being interviewed by Elizabeth Blunt on the BBC World Service in the 1980s. When asked why ministers were driving around in very expensive Mitsubishi Pajeros, which the public purse could not afford, the minister retorted that the roads were in a very bad condition. It is not surprising that Koroma can tell journalists that he is travelling and has always travelled abroad for his health checks, and to make a point that he had missed his routine check in 2014, without being challenged about the men, women and children in Sierra Leone who cannot even afford basic medicines, while he can travel abroad to undergo a medical check. Because of the sycophantic journalism that is peddled in Sierra Leone, President Koroma missing his routine annual health check in 2014, would merit a recommendation to the Nobel commitment in Norway. The bleeding obvious is not so obvious to sycophantic journalists. Koroma and his elite, paying very expensive fees for annual medical checks abroad, means more investment in the health care systems in those countries; and it contributes to the worsening balance of trade for Sierra Leone. Quite simply, it takes money that can be used to develop our own health systems and economy out Sierra Leone, and used instead to benefit other nations. Again, because of sycophantic journalism, Koroma is not challenged to say why after eight years in office, the health systems in Sierra Leone are so fragile that, he has not been able to reduce his own dependence on health care systems abroad. In the UK, David Cameron as Prime Minister has ensured that his children are educated in the state sector and are treated under the NHS – despite the fact that he has inherited millions and can afford the best private education and health facilities money can buy. 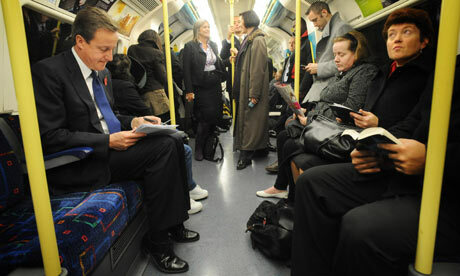 (Photo: David Cameron seen in public transport – London underground). Again, sycophancy prevents journalists from challenging Koroma to explain how his annual health checks abroad are funded; and also to challenge him about the example that he sets for his cabinet and senior public officials. Let us assume that Koroma can genuinely afford to finance his own health care. However, when others in his government, in ministerial departments and parastatals who are not able to finance private health care abroad or private education for their children listen to the president announce in such a casual manner, that he is travelling abroad for his annual routine health checks – are they not inclined to want to do the same, even if doing so requires raiding the public purse or taking a large bribe? 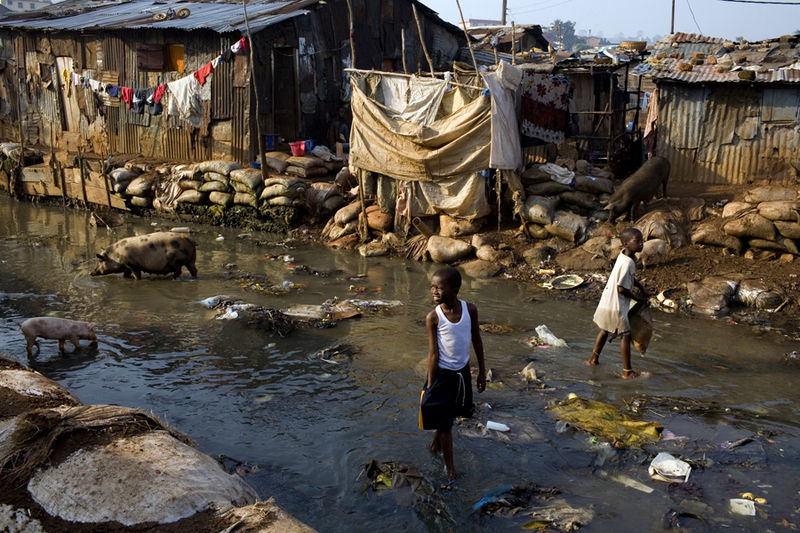 Koroma’s attitude is reflective of our wider attitude to Sierra Leone’s development. There are many in the Sierra Leone diaspora who live with one foot in Freetown and the other in London, Maryland or elsewhere – because we love things as they are in Sierra Leone. We can isolate ourselves from these problems by living behind high walls in fully air-conditioned homes in the Freetown suburbs, and drive around these days in fully air-conditioned Nissan Forerunners with tinted glasses. We compensate ourselves for the inconveniences we put up with in Sierra Leone, with regular trips abroad for annual medical checks and to stock up on essentials. Going abroad is as though you are exhaling after holding your breath for a long time. All of this is symptomatic of the fact that we simply do not have a collective vision of a better and prosperous Sierra Leone for all of our people, not just the few. If we were compassionate towards the needs of the most vulnerable in our society, we would understand why Koroma should be challenged about travelling abroad for an annual routine medical check. You would think that after the Ebola epidemic, sycophancy would be put aside and that politicians and public servants would be held to account; and that our journalists would be leading the way. Thank God for the courage of the editor of Sierra Leone Telegraph, for being prepared to raise the issue and to challenge Koroma on this issue. And I hope that others would find their voice to do the same. What comes to mind here is the Greek philosopher who believed that the people get the government they deserve. I believe this holds true for Sierra Leone. We as a people have to ask ourselves lots of questions. A well-argued piece that any Sierra Leonean with a basic intellect and a love of Mother Salone would wish to ponder and lament about the poor state of not only the healthcare sector in Sierra Leone, but every socio-economic sector. 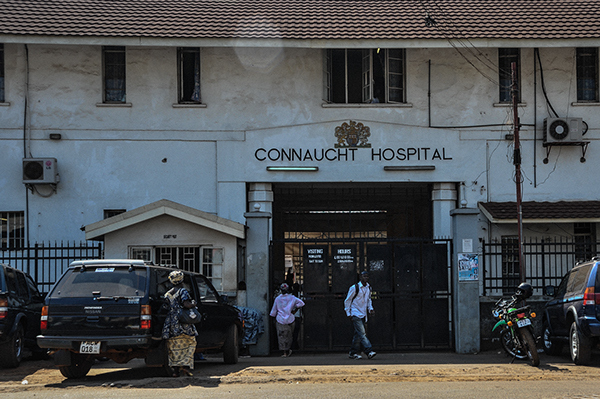 The photo of Connaught Hospital, supposedly the main hospital in the country, shown in the story, demonstrates the ‘sorry’ and dehumanizing state of healthcare in Sierra Leone, and you wonder why Ebola is still killing our poor people, while the president could boast of flying to Germany for medical checkups at taxpayers expense. It goes to show, like the writer rightly described it, the sycophancy of this cabal that calls itself a government. Pronouncements with fancy words alone do not move a country forward; rather what moves a country forward, like a business organization, is a a strategic vision possessed by the leader, and not empty rhetoric. while they continue to receive medical treatment abroad, millions of Sierra Leoneans are dying of the most simple health conditions, sometimes treatable with medication costing no more than US$1, and again you wonder why, when you hear how most of them end you say, but he was the president or he was a government minister. It is the curse of the people whose wealth they have converted into mansions that will punish them in this world and in the hereafter.